There should be some specific criteria to select a particular agency’s service among the numerous options available in the market. With the need of the court filing services and increasing population of the country, the legal service support centers like Country Wide Process are rapidly increasing. But being a client, you should the aware of some specific grounds to choose a comparatively better service provider, over the other. A few specific grounds, to help you choose a specific agency amidst the others are discussed, for you to understand. As client is our first priority, we never compromise with the demands of our client. In most of the time the court cases take time to proceed, for one specific step to the other and it is the delay in proceeding with the court cases, which makes most of the clients offended. However, if you authorize our organization with the charge of any particular case, you would be able to see the difference. Our team of professionals knows the way outs with advanced technologies to get the service done within the prescribed time. The experienced members of CT Process Server California team also have good connection in court with the powerful individuals there and this would help in proceeding with the cases at the right time without much delay. Thus, our clients would be satisfied with us because of our timely service and proper response. The CT Corporation System Process Server Los Angeles never fails to respond the clients with right approach, whenever the client would need that. We assure every customer of a good bonding which is a natural outcome. It is natural for every customer to fall in love with our service, once they will use that. The core of our customer relation boding is standing on a few important pillars and good communication and timely response with comprehensive is the one of them. The client will get to generate an account at the time of filing his case and our team of experts would send them report each they will proceed with the case. They will also receive an update at the time of storing result of the case research. The effectiveness of the strong interaction process becomes clear when the clients becomes able to inform about any incongruity in their research procedure, if they find any. The process of receiving feedback and immediate rectification, if required makes the customer relation even stronger. You would just have to fill in the online form by submitting your name mailing address, phone number and all, to get the convenient legal support system for your monthly or yearly services. Filling up of the account information and the personal details would-be highly confidential so that anyone from outside would not be able to access your secret information. The CT Process Server California would be quite loyal at your service to give you complete relaxation and support. The complicated matter of legal issues can be easily manageable by the services of Court filing. The support system agencies are quite experienced whether they are serving as a courier guy or they are working as the legal professionals. It is also necessary for the courier guy to be experienced because he would have to understand which mail has to be send to which section and for this reason he need to have proper experience and knowledge about the legal terms and conditions. However, the facilities that you might enjoy with such legal service have been discussed bellow. The staff members of the agency have sufficient contact with the court professionals so that they can get the updated information about the proceedings of the services. You, as a client would get constant information regarding the proceeding of the services of your file in the court. You will get a link as and when the copy would be submitted to the court. Thus, you would be abel to track the proceeding of the record. The information about the sister state judgment would reach you within the right time and this convenience would be quite enough to keep you contended with the service of the agencies. As the legal matter require a lot of research and it is important that the research is done in a through and focused way it, our expert team involve their full devotion to know the matter with concentrated research. The researched output are stored and attached with your account so that you would always judge, whether the research is executed in the proper way. The matter of bankruptcy, family law and the trustee are dealt under the section of public research. The search profile researches like the profile report, criminal record and the business researches are dealt by experts in the specified field by CT Corp Process Server California. A professional process server has much knowledge in serving legal assistance to their clients. They spend their day in the field, attempting serves and moving steadily forward on due diligence as efficiently as they can. A professional subpoena server does not take payment until they complete their responsibilities. Countrywide Process is the trustworthy organization provides multiple legal services to the individuals. With our service you do not need to worry about your documentation process. We offer the most desired legal service in a cost effective manner. We understand your need and deliver the best litigation support service that suits to your requirement. We offer you the best small claim assistance in California. Our prolific team is highly professional and offers you a dedicated service. They are motivated to meet your legal need. Our professional process server will go to extra lengths that a sheriff never will. We generate creative idea to complete your work. Our professional process server offers you a greater breadth of knowledge that will help you to get things done quickly. With us you will get a more pleasant experience while completing your documentation process. You can rely on our experts as they keep your personal information confidential while performing the documentation program. We offer you a full range of litigation support services. We know that different customers have different needs. Based on their requirement we offer them litigation support service. We provide support to law firm, business owners and private parties all over the world. We have both national and international clients. Every individual needs to complete their documentation process at some points of their life. We assist you in e-filling, court filling, process serving, courtesy copy and recording. With us you will get the best legal document server in California. States like California has strict rule that professional process server should meet all the legal norms while doing documentation process. Our professionals have in-depth knowledge in States and Federal law. Our experts know how many attempts they have to take to prove diligence. We have a prolific team of experienced members who know different court regulations. They accumulate different strategies to deal with harder serves. We will protect your interest while serving litigation support service. Feel free to contact with us we will deliver the most convenient service within your budget. We have 35 years experience in delivering litigation support. We have both national and international clients. Our experts are highly professional and knowledgeable in this filed. They know how to represent a case in the court that will be beneficial for our clients. We offer court filling, process serving, recording, courtesy copy, E-filling and E-service. With us you will get a spontaneous support to complete your litigation process. Our esteemed clients include professionals, businesses, law firms and private parties. Our service includes consistent delivery of the litigation support that can meet your legal need. We care about your money. We provide free consultation to understand the current status of your case. Our litigation officers are very familiar with the codes and know what they can and cannot do. We offer you litigation support at pocket friendly price. With our inexpensive service you will be able to file your document without any hassle. Are you looking for an expert legal subpoena server in California? Just contact with us, we have experienced team who assists you in solving your legal issues. Our experts deliver you service proof. If you want to file a divorce then how do you know whether the recipient has received the notification or not? We provide you service proof along with legal document that can help you to win your claim. Our subpoena servers are completely focused on providing this service. Each State has multiple laws and policies which are difficult to understand for the general public. When you are going to file a case you need to consider such laws. Our experts deliver you an excellent customer service. With us you will get 24/7 assistance as per your need. Our process server provides faster service than the sheriff’s department. If you have to file any case or complete any documentation process feel free to contact with us, we are always here to support you. Hiring an experienced process server will save your time and reduce your frustration. It is beneficial to deal with your legal matters. In many states people need a process server license while serving papers. Countrywide Process is the name you can trust. Our professional process servers have qualification and training to guide you in a proper way while dealing with any legal requirements. Instead of researching every state and federal law that applies to service process, you should hire a professional who knows how to operate within the law. You can hire an experienced CT process server California. Process server is an integral part of law firm. If you want to file a legal document you can hire our legal document service provider who will assist you in a proper way. We help the people to complete their documentation process without any hassle. People need to prepare a legal document at some points of their life. If you want to prepare legal document for your property or for your business you have to face challenges as the court process is a time consuming process. Hiring a process server may be helpful for you to carry out your documentation process without any complication. If you want to obtain a proof service for solicitors you need to enlist the service for a process server. Every legal document required proof of service. If you do not have any proof then the intended recipients can easily deny that they have ever received the document. Hiring a CT Corp process server California, would be beneficial for you to get a proof of service. If a lawyer posted a divorce paper on the behalf of their clients then how can an individual verify that the spouse has received this divorce paper? For this purpose you need to take guidance from our process server that provides you service proof. Cases related to domestic violence can be complex and require more attention. However, the victims want to serve an emergency court injunction, which will legally restrict the criminal from making any contact. In this crisis hiring a legal process server is helpful to complete your documentation process. Our legal service provider can ensure you that the injunction is served promptly and you will get a complete support from their end. Looking for a renowned Legal Service Provider in California? Legal service providers can help you by providing step by step solution while dealing with a legal issue. Country wide process brings excellent legal solution for you as we have 35 years experience. We offer you the most desired legal solution at affordable price. We aim to provide a full range of litigation services. We are authorized by CT Corporation System. You can get legal assistance from CT Corporation System Process Server Los Angeles. Business, private parties, law firms and legal support professionals are our potential clients. Our professionals have much experience and in-depth knowledge to tack information and offer best legal solution. If you want a reliable legal service provider feel free to contact with we will provide you superior service at affordable price. We offer multiple services to complete your legal procedures. We deliver easy techniques to handle your process serving, e-filling, court filling, recording, courtesy copy and research and retrieval. We offer a consistent delivery system to serve you a hassle free service. If you are facing difficulties during your e-filing then come to us, our experts will help you to file documents via online easily. Our experts have huge knowledge on every field and they are able to provide you any solution no matter how difficult your assignment. Our business is customer-centric and we give value to our clients. Maximum legal service providers do not value their customer interest and they look at their profits. Unlike other legal service providers we offer you the best quality service as per your need. One of the most important legal services is the process serving. Country Word Process is affiliated by CT Corp Process Server California. Our professionals are rich with various skills and they have the capabilities to handle different types of process serving assignments in California. If you have tedious assignments of process serving you need to consult with our professionals to get a result driven outcome. Our company delivers process in the major cities of California and we have large number of clients in these places. Legal service can benefit both large and small business to a greater extent. From the starting of your business you need legal assistance to carry out a hassle free business operation. Country Wide Process offers a wide range of legal service based on the business type. We aim to provide a complete solution that is suited to your legal requirements. We are authorized under CT Corporation California and serve CT corporation system process in Los Angeles. If you need filling, delivery, retrieval or service of process Country Wide Process is always there for you. You can the following benefits from our service. We offer a wide range of legal services include Efilling, Court filling, recording, process serving, research and retrieval and courtesy copy. We communicate with our client directly and make best solution based on their requirement. We make transparent communication with our clients and we are focused on real time online tracking to save your valuable time. We provide you legal service with complete security. Often the legal process may be tedious and complicated for you to resolve. We are here to minimize your stress by assuring you of getting high quality legal service. You may feel challenges during the E-filling process. Country Wide Process will act as your vendor to file all documents online effectively. We are fully equipped to deliver you legal E-filling service. Complete your legal procedures with us in a trouble free manner. You can face trouble during court filling, e-filling and process serving. Country Wide Process offers you a hassle free legal service, with which you can complete your legal process. Our unique service process and effective teamwork may reduce your tension while doing legal process. We assure you of getting CT Corp process server in California. We provide variety of legal services at pocket friendly price. If you are worried about the price of your legal process just contact with us we will provide you best service within your budget. No matter, what kind of assignment you have our professionals will deliver you consistent and high quality service. We have highly experienced professionals who deal with any type of assignments of process serving in Orange city. A single contact with us will lead you to use our service for long time. Will Los Angeles Superior Court now be paperless? The Los Angeles Superior Court is not paperless. e-Delivery through JTI or Journal Technologies aka journaltech.com is a means for electronically submitting documents through their e-delivery portal, but, once filed, the documents will be printed and the court will still utilize paper files. Please note that you may still file paper documents in person and that this project is only for general jurisdiction personal injury cases not deemed complicated. fee of $1.75 for each transaction, pursuant to California Rules of Court, rule 2.253 and rule 2.506. Today the court is printing paper files and storing them on shelves. 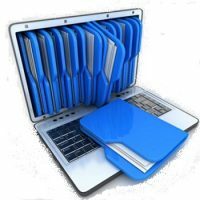 While we agree this is a good backup source, we feel eventually they will need to go 100% paperless otherwise this may lead to per page costs to the end user if not they will lose money by having to eventually continually increasing their storage capacity. Read all about our e-filing service by clicking the link below. to eFile you next document Today? We are a certified (EFSP), an Electronic Filing Service Provider, which means you can rest assured and eFile with peace of mind into all California Counties which offer permissive and mandatory eFiling. Our system was designed by listening to the needs of legal professionals in order to make eFiling and eService tasks easy to use. We are compliant with all current eFiling standards and offer our services at some of the lowest rates in the industry. Our system enables attorneys, legal professional and individuals to easily place orders, manage cases and corresponding documents, retrieve Proofs of Service and Conformed Copies from the comfort of home or office 24 hours a day 7 days a week with ease and all from a Desktop or Mobile Device. Create an account today and start placing orders in minutes for as low as $7.95. Document drop boxes are located outside each Clerk’s office for filing papers or submitting payments. Pursuant to California Rules of Court, rule 2.210(b) any document deposited in a court’s drop box up to and including 4:00 p.m. on a court day is deemed to have been deposited for filing on that day. Government Code §68106 requires trial courts to provide notice to the public at least 60 days before closing any courtroom or closing or reducing hours of clerks’ offices by conspicuous posting within its facilities and on its public website. © 2019 Countrywide Process. ALL RIGHTS RESERVED.